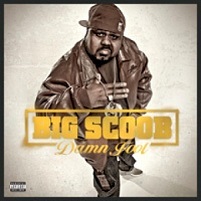 There’s no doubt about it, Big Scoob’s Damn Fool is a heavyweight hit! Two weeks after its release, fans are still creating an online buzz over their favorite tracks. Featuring tracks like “Damu” and “Drunk & Stupid” produced by Seven, Damn Fool has quickly become Scoob’s most successful outing on Strange Music. Twitter has been flooded with comments and shout outs from fans showing love for Scoob’s latest work. People from all around the country can’t get enough of Scoob’s gutter flows, and with summer so close, Damn Fool is sure to be knocking speakers in neighborhoods everywhere. What is your favorite track on Damn Fool? Leave your thoughts below! “Damu” and “Drunk & Stupid” were produced by Seven.